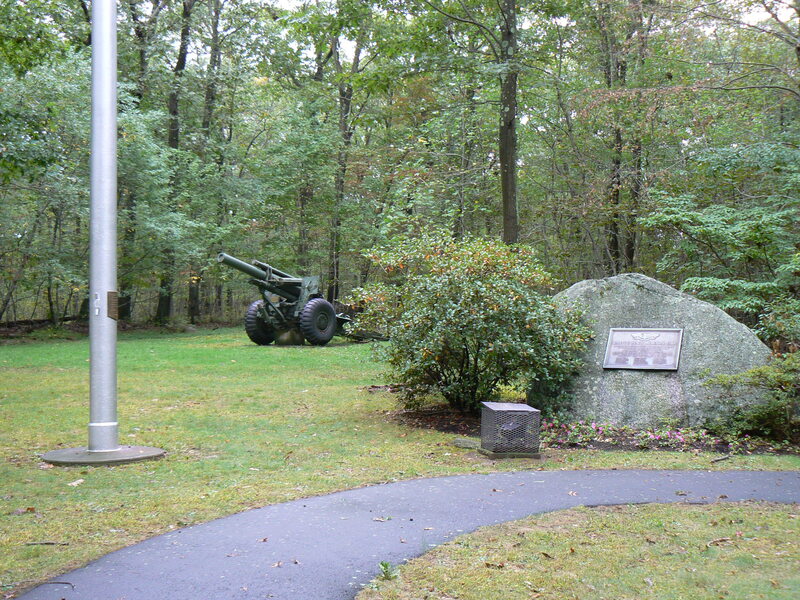 One of Trumbull’s town parks was donated to honor its World War II heroes. 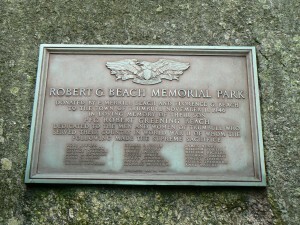 Robert G. Beach Memorial Park was dedicated in 1946 to honor Beach and the 21 other Trumbull residents lost in the war. 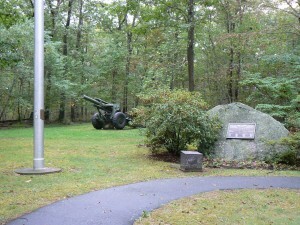 The park’s monument circle features a large boulder with a 1950 dedication plaque explaining that the park was donated by Beach’s parents to honor Trumbull’s World War II veterans. The plaque lists the 22 residents killed in the war. 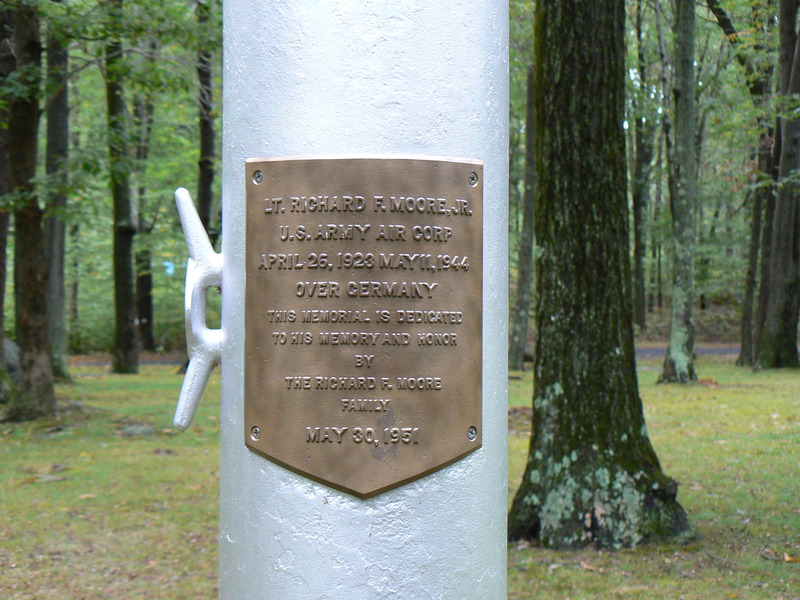 Near the boulder is a 1951 flagpole that honors Richard F. Moore, Jr., an Army Air Corps lieutenant killed in Germany in 1944. The flagpole was donated by his family. 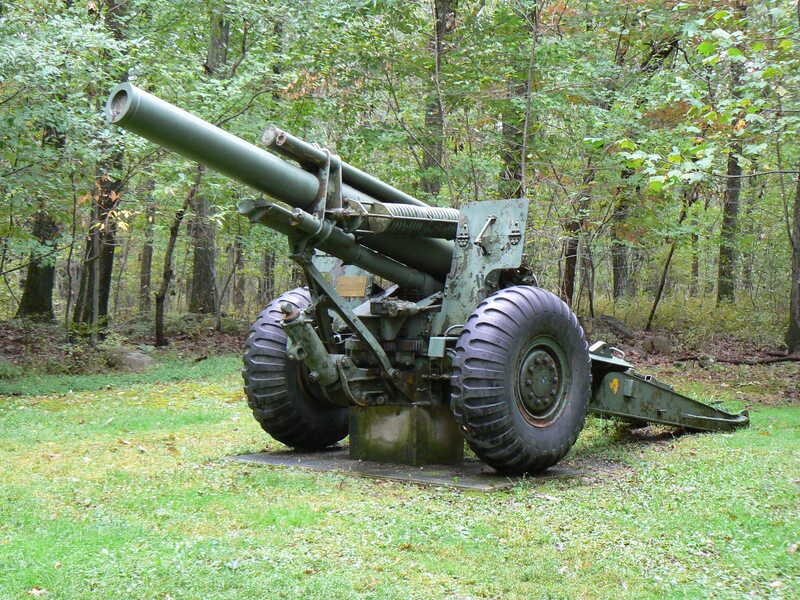 The monument circle also features a 155mm howitzer artillery piece. A 1994 plaque on the howitzer expresses a wish that someday all weapons of war will have their breaches and barrels welded shut. 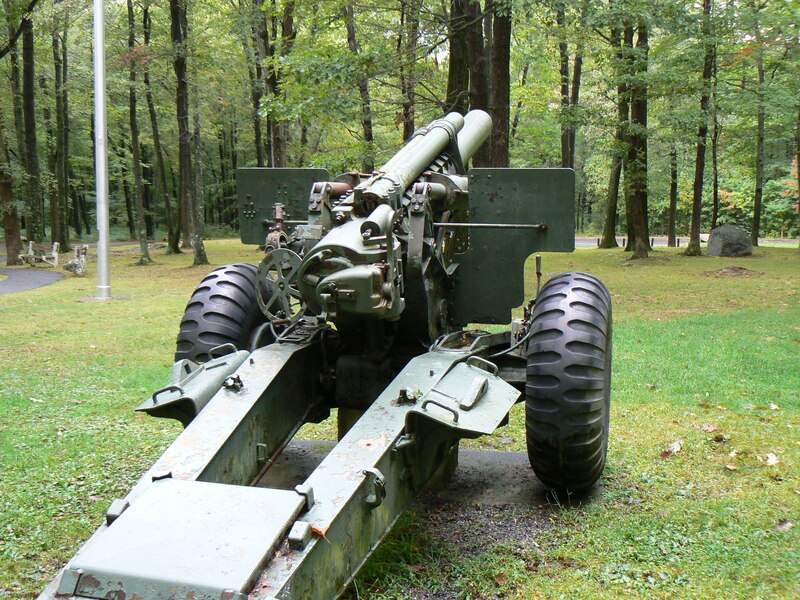 Land for the park was purchased by Beach’s parents from Bridgeport Hydraulic Company. 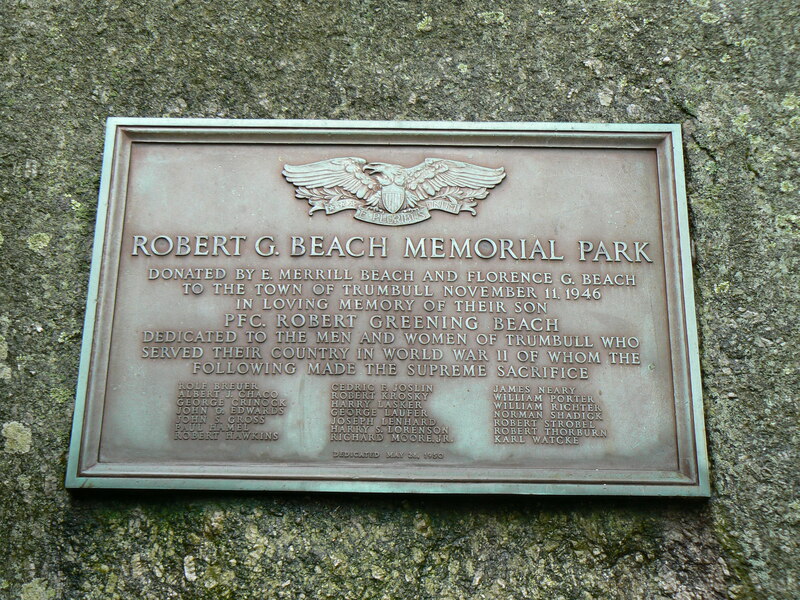 Beach’s father, E. Merrill Beach, was a local banking executive who founded the Trumbull Historical Society and wrote three books about Trumbull’s history. 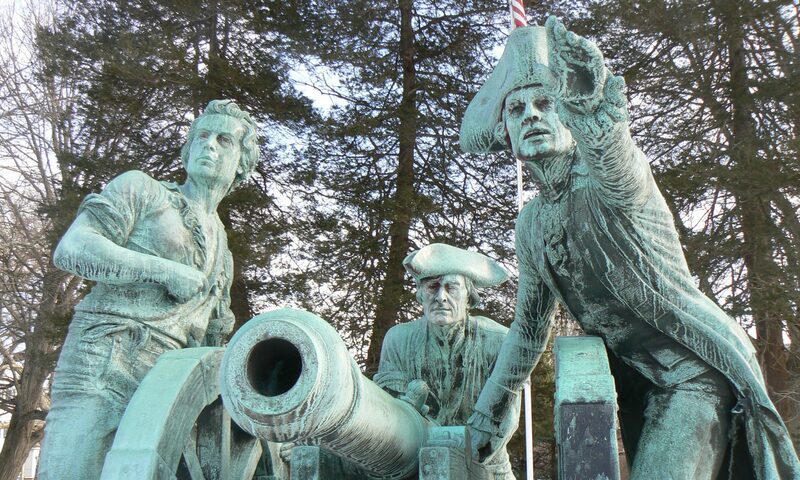 Trumbull’s World War II heroes are also honored on the war memorial in front of Town Hall.